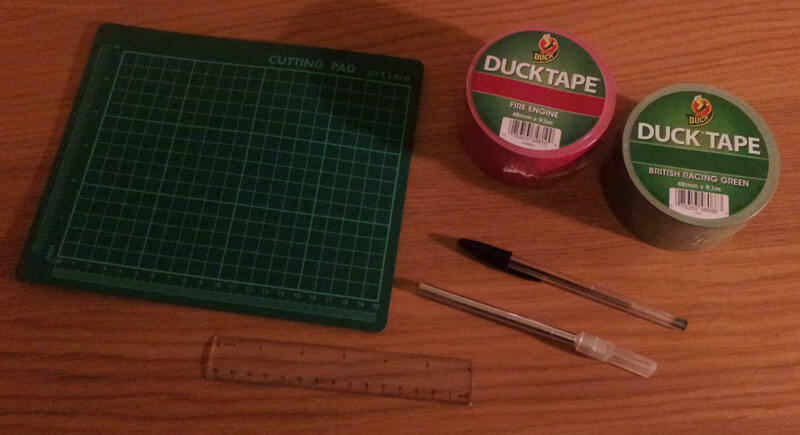 Home ♦ Competitions ♦ Frugal February’s ‘Pimp My Pen’ Competition! Frugal February’s ‘Pimp My Pen’ Competition! February is arguably one of the dullest months of the year – it’s cold, it’s dark, and most of us are still recovering from Christmas spending and over-indulgence. Not to mention those New Year’s resolutions we’re all trying to stick to! So, we thought, what can we do to bring some joy to our customers at this frugal time of year? A fun competition, of course! It’s time to get creative, pen friends. The idea is simple – use any pen you like (although we’d recommend a cheap one, just incase you’re not keen on the result!) and decorate it however you like. It could be themed (favourite TV shows, bands, films, sports etc. ), it could be girly… it could be anything you fancy! To get your creative juices flowing, we have pimped a pen ourselves! Below is a handy How-To Guide for how to make one for yourself if you would like an example of what we’re looking for. This competition is open to the entire world like most of our competitions, as we ship internationally. A short description of the pen you decided to ‘pimp’, with a little bit about why and how, together with a few photos. These photos must include a before and after. However, if you can send a few more in all the better. Please do not send in more than 5 photos per submission. The winner will be selected over a cuppa by the staff at The Pen Company, however we’ll also be looking at your entry’s popularity on Social Media outlets, so get sharing! 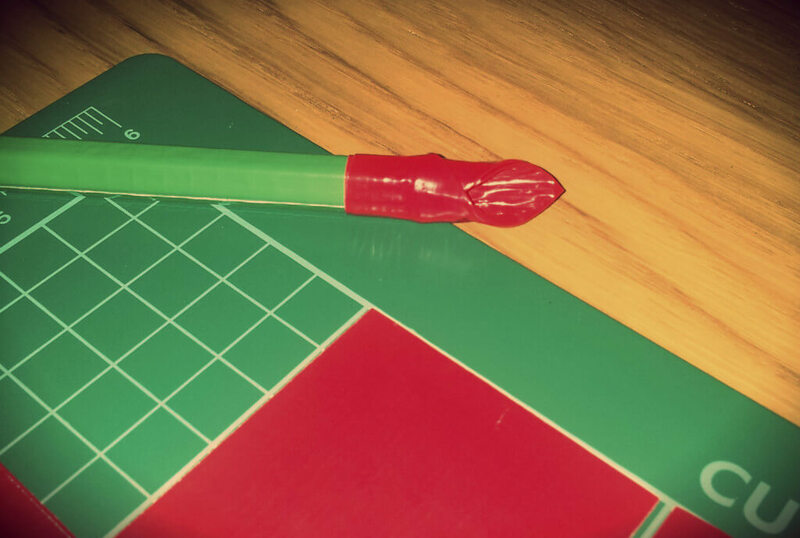 Please use the hashtag #PimpMyPen when sharing so we don’t miss it! You may enter more than once, providing it is with different pens! 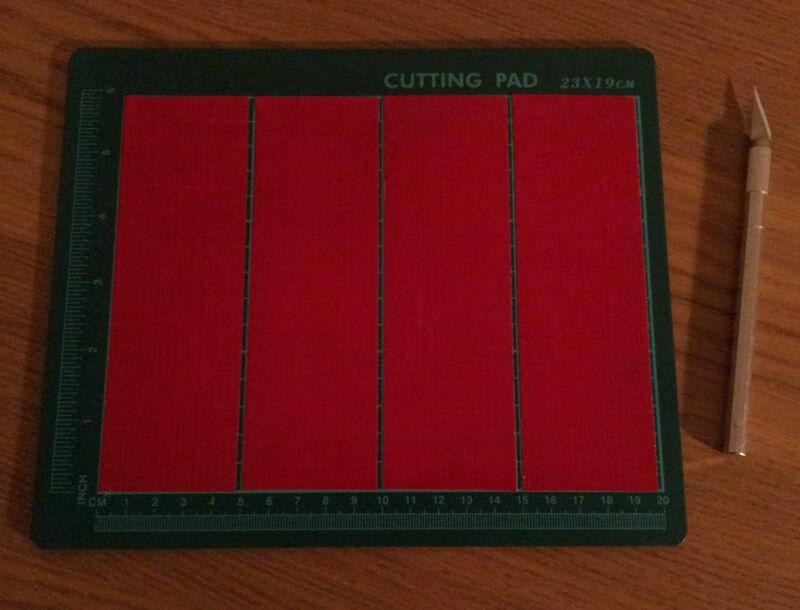 Note: You could replace the craft knife and cutting mat with a pair of scissors – just use whatever you already own/are happiest using. 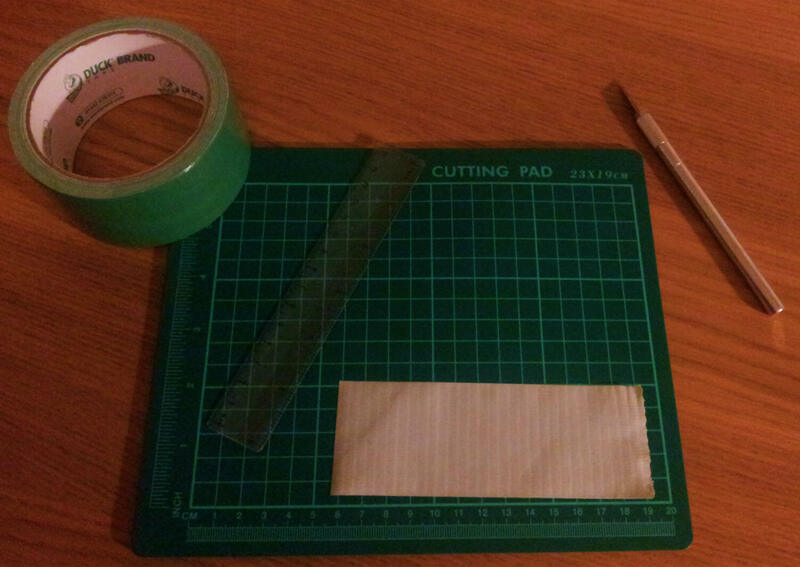 Cut a strip of the green duct tape. 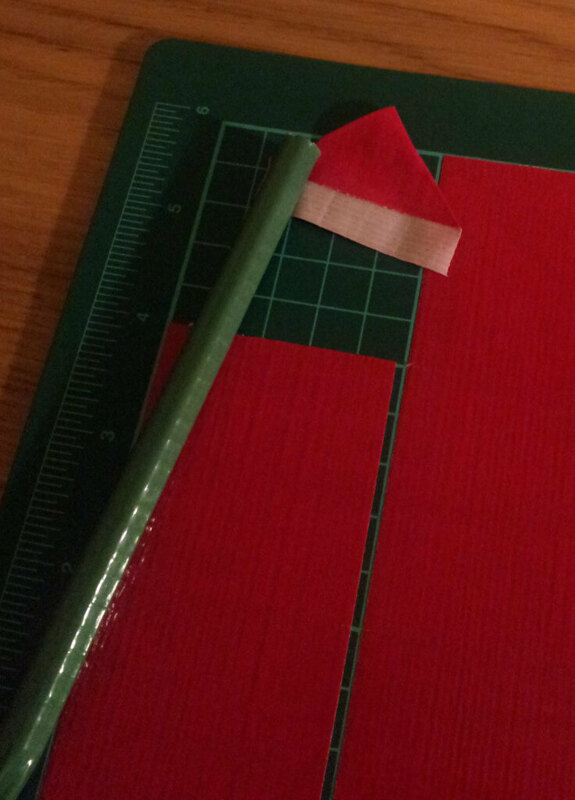 This needs to be the length of your pen, from the end to wherever you’d like the green ‘stem’ to end – this may depend on if your pen has a cap, as if it does you may want to leave a bigger gap at the nib end so the cap still slides on easily. 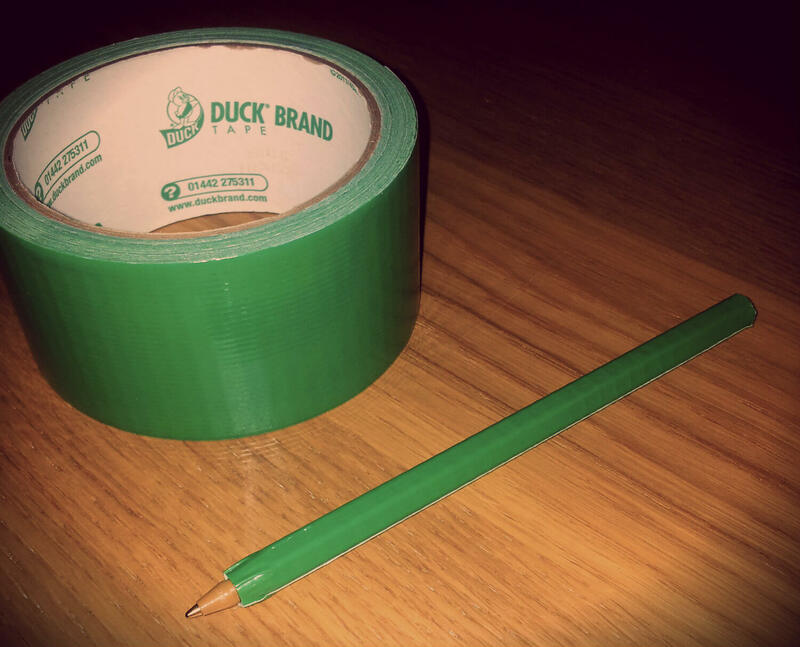 Carefully line your pen up with the duct tape, and roll until the tape is entirely wrapped around it. This is your stem done! Simple, isn’t it? 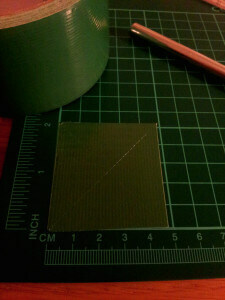 Now you need to cut your other roll of duct tape into 2 inch pieces. The number of petals required will vary from project to project, and depend on how big you’d like your flower head to be. I used approximately 40. 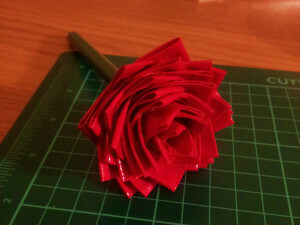 You just need to do 2 folds to make each petal. 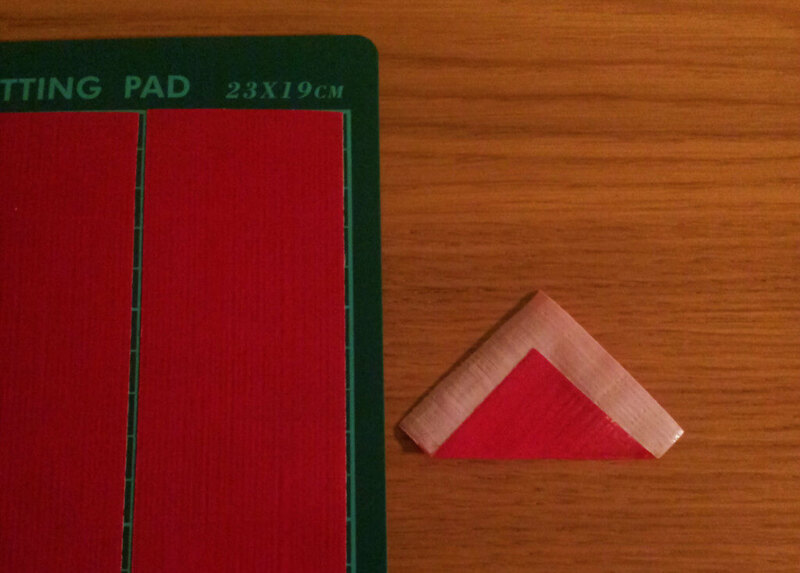 Firstly, take your piece of duct tape and fold one corner in so it leaves a while L shape. 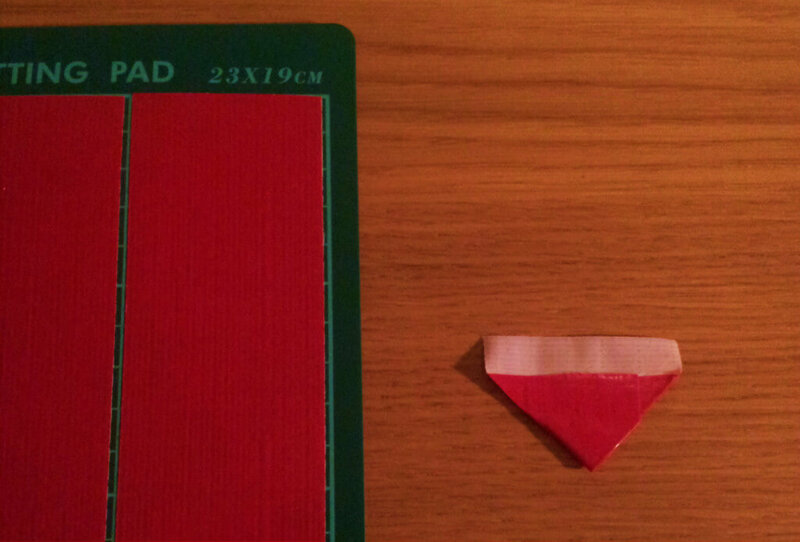 Next, grab one of the corners that aren’t the middle of the L shape, and fold it inwards so you are left with a house shape. 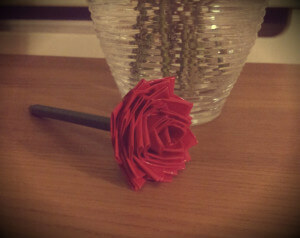 Now you are ready to stick your first petal onto your stem. 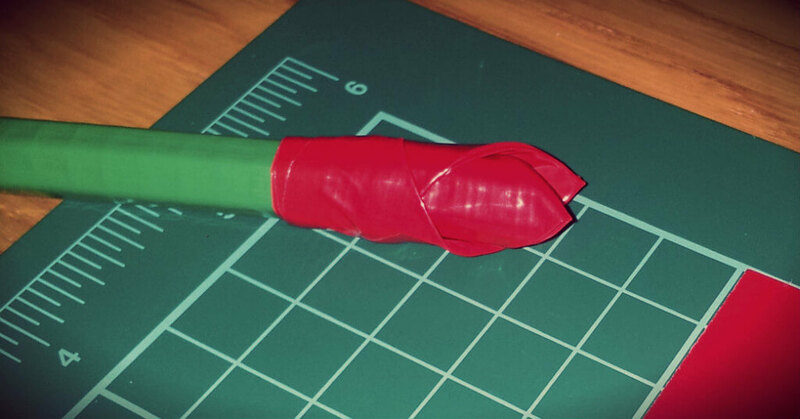 Wrap your house-shaped tape around the top of your pen, to form a petal shape. 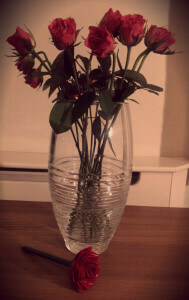 Now you need to repeat Steps 4 and 5, spacing the petals appropriately, until you have a full flower. 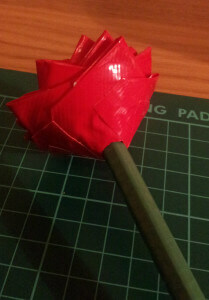 To finish your flower pen, cut some leaves from the green tape to pop around the bottom of the flower. 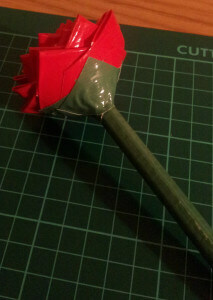 This is as simple as quartering a 2 inch piece of tape corner to corner, and applying to the base of the flower. Now you’re all done and ready to show your pen off to the world! Introducing the pen that can write using 16 million colours! ← Previous Post: Robot Copies Handwriting Using a Fountain Pen!